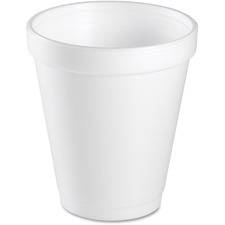 Treated paper cup with rolled rim.Designed for cold applications.4 oz.200/pkg.Also available in a case of 5,000. Maintain beverages at their optimal temperatures longer. 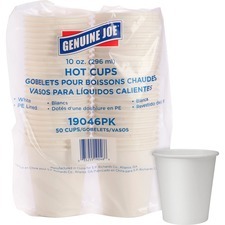 6 oz.25 cups/pkg.Also available in a case of 1,000. 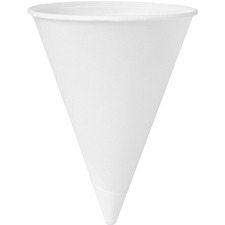 Polyurethane lined, single wall paper cups for hot beverages. 10 oz, squat.White.50/pkg.Also available in a case of 20 packages. 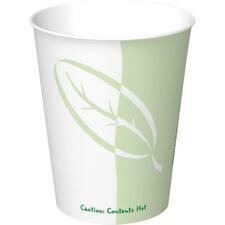 Polyurethane lined, single wall paper cups for hot beverages. 12 oz.White.50/pkg.Also available in a case of 20 packages. Maintain beverages at their optimal temperatures longer. 8 oz.25 cups per package.40 pkgs/cse. Maintain beverages at their optimal temperatures longer. 12 oz.25 cups per package.40 pkgs/cse. 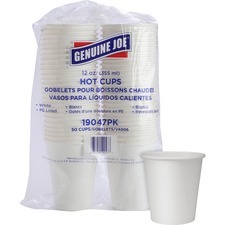 Fits 10 oz hot cups.White.100 lids/pkg. Maintain beverages at their optimal temperatures longer. 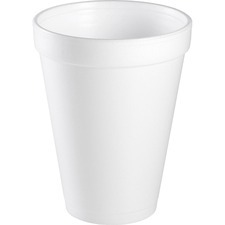 10 oz.25 cups per package.40 pkgs/cse. Durable and sturdy to fit any occasion or everyday need. 9".25/pkg.Also available in a case of 500.